Tomoo Hamada, has taken yet a different tack from those of his father Shinsaku and grandfather Shoji, meanwhile maintaining certain consistencies that distinguish Hamada-lineage ceramics. Tomoo’s pots utilize essentially the same materials as those of Shinsaku and Shoji-glazes like reddish brown kaki, brown tenmoku, cobalt blue, white rice straw ash, bluish-white namako, green seiji, black kurogusuri, creamy nuka, translucent namijiro and runny-green wood ash, all used to cover a speckled tan clay dug and formulated right in Mashiko. 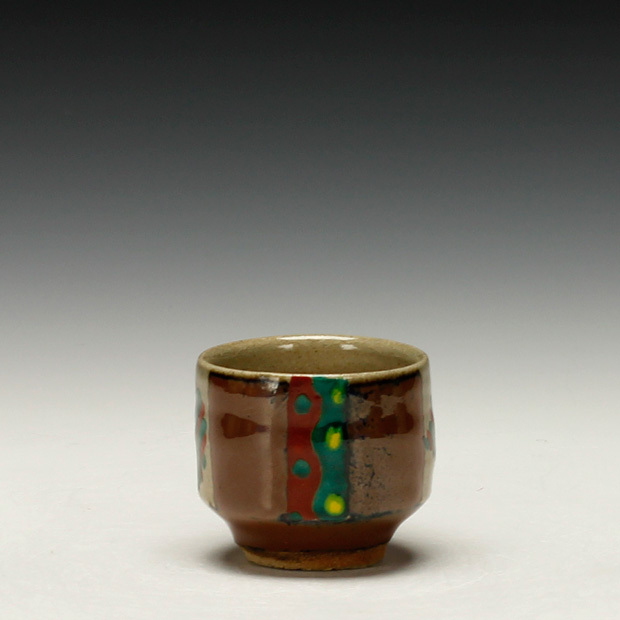 Unlike his elders, however, Tomoo has become much more daring in the use of unconventional shapes, extensive application of overglaze enamelled decorations, and surface textures. 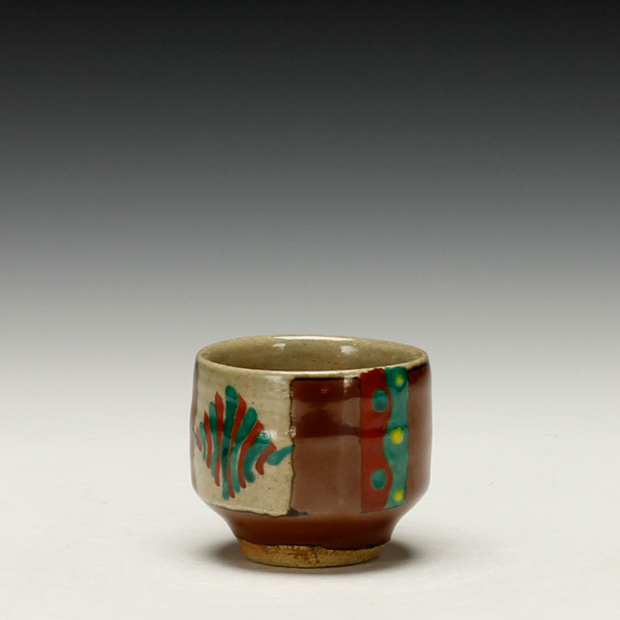 In particular, his tiered flasks are very progressive, and unlike anything seen before in a mingei genre. It is clear that Tomoo has been looking beyond the works of his forebears, examining works from the early English Arts and Crafts movement.